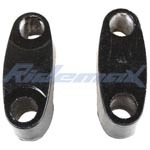 Steering Handle Holder Clip For ATVs,free shipping! X-PRO® Rear Wheel Bracket for 110-125cc ATVs,free shipping! Front Upper Arm for 110-125cc ATVs,free shipping! X-PRO® Rear Swing Arm for 110cc ATVs,free shipping! Front Plastic Bumper for 110-125cc ATVs,free shipping!